Old Mine Cut diamonds date back to the early 1700s, when the Indian diamond mines began to run dry. The previously popular Table and Point Cut diamonds were falling out of fashion, in part because their brittle corners began to break off or become blunted. Since diamonds were growing harder to come by, these previously cut diamonds were re-cut into a square outline with rounded corners. In 1730, a new crop of Brazilian diamonds was discovered. The majority of the new Brazilian rough was cut in after this new squarish-cut fashion. Named the Old Mine Cut in the late 1800s, this "new" cut remained popular well into the early 1900s, until the rounded Old European Cut began replacing it in the 1920s. During the reign of the Old Mine Cut, cutters fashioned every stone by hand. Their primary concern was to maintain carat weight, so stones were cut with a high crown and a small table, with a deep pavilion and a large faceted or open culet. They cut the girdles slightly wider to ward off chipping, the corners were rounded, giving it a square cushion appearance. 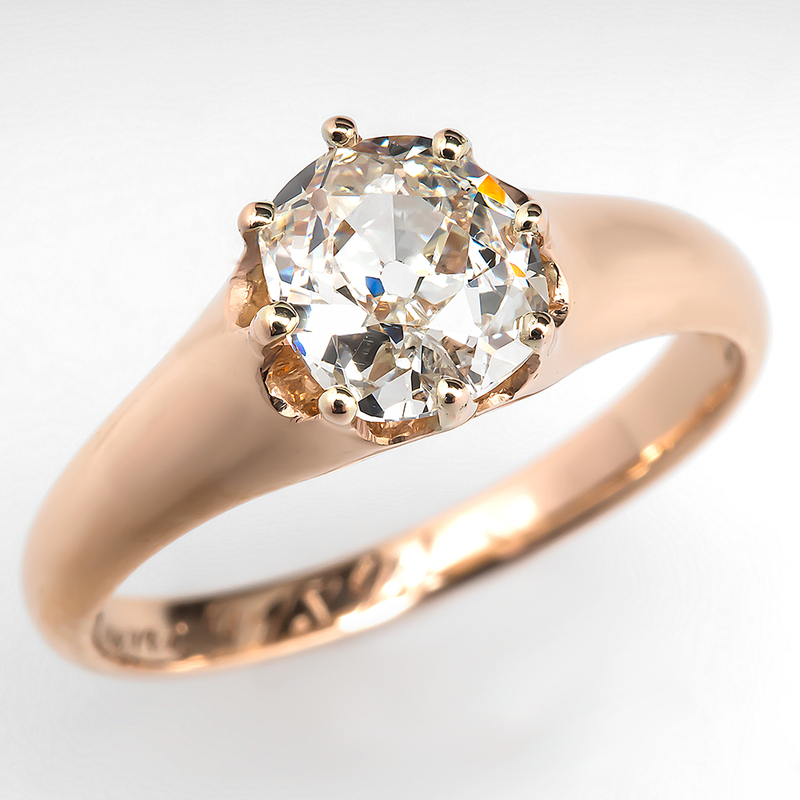 The shape and size of the original rough determined the specific proportions used, and since there was no standardization for the cut these antique diamonds often lacked symmetry. As a result, there is a wide variation among Old Mine cut diamonds. Some are dazzling in their brilliance, whereas others are somewhat watery or dull in appearance. This in no way affects their value, as all Old Mine Cuts are considered antique and collectible. Old Mine Cut diamonds are one-of-a-kind, and their uniquely square appearance makes them distinctive and unique in a market saturated by round brilliants. 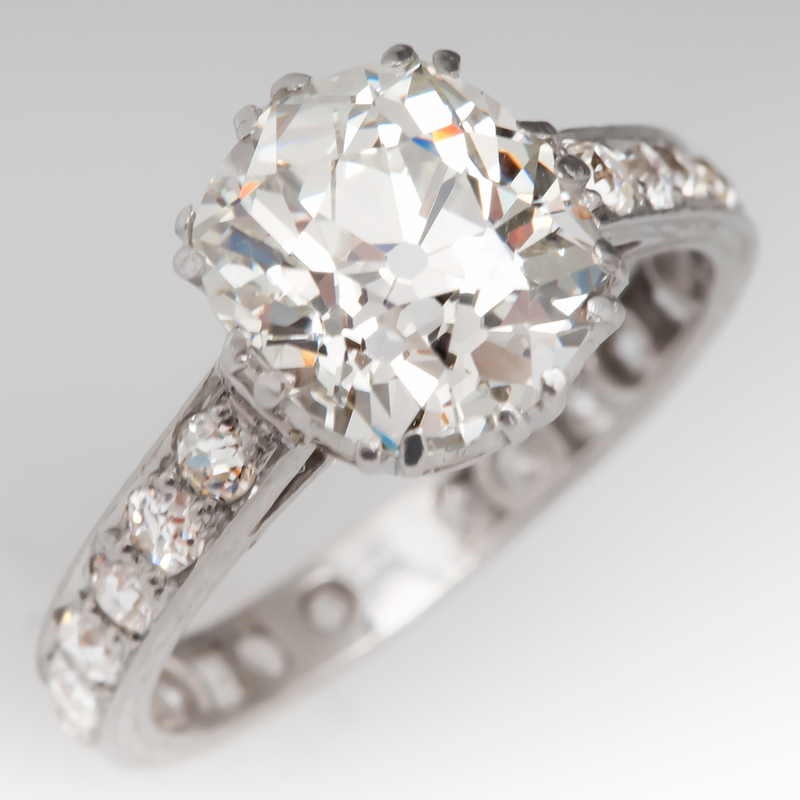 If you're looking for the romance of an antique stone, an Old Mine Cut diamond engagement ring is an excellent choice. Ebay. 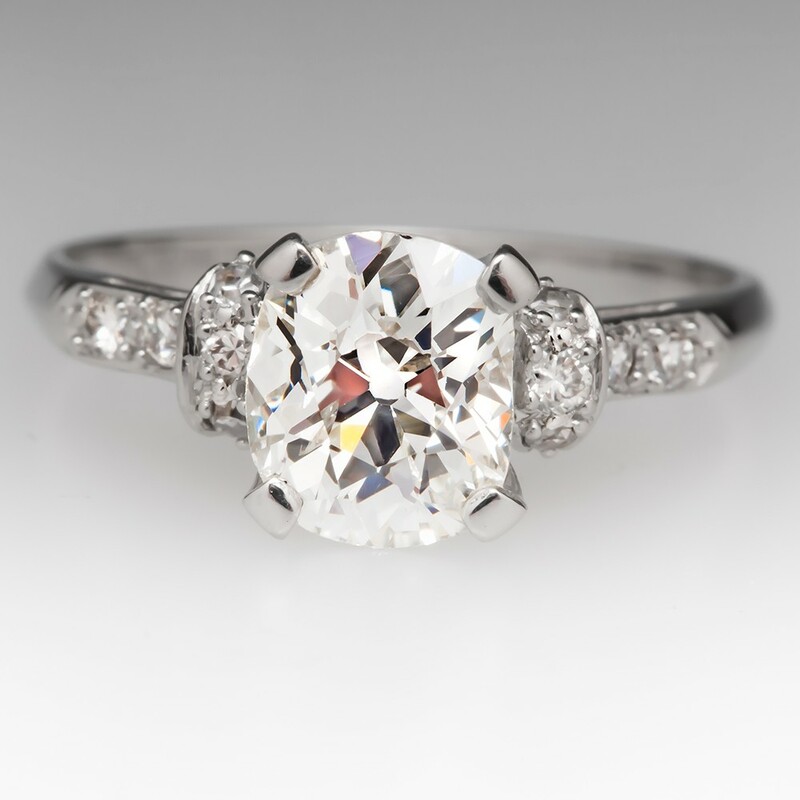 "Diamond Cut Styles History, Old Mine, European, Ideal." 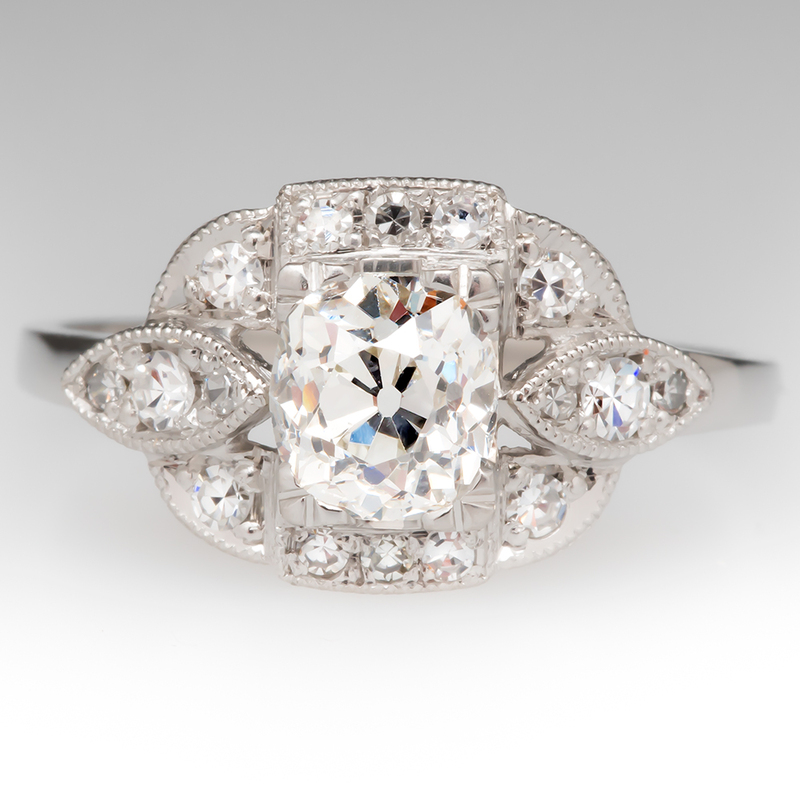 Accessed January 21, 2014. http://www.ebay.com/gds/Diamond-Cut-Styles-History-Old-Mine-European-Ideal-/10000000001668243/g.html. Lang Antiques. "Old Mine Cuts." Accessed January 21, 2014. http://www.langantiques.com/university/index.php/Old_Mine_Cut#Old_Mine_Cuts. Warber, Adrienne. "What Is a Miners Cut Diamond," Love to Know Engagement Rings. Accessed January 21, 2014. http://engagementrings.lovetoknow.com/wiki/What_Is_a_Miners_Cut_Diamond.